The 2017 British Racing Group West Coast Lotus Meet (BRG-WCLM) dedicated to the memory of Roger Becker will enjoy the scenic Santa Ynez Valley and Solvang in September 2017! Members of the Golden Gate Lotus Club (GGLC), GGLC-Sacramento and Lotus Club of Southern California are hosting the 2017 British Racing Group WCLM in conjunction with the Evergreen Lotus Car Club, Lotus Owners of Phoenix, Lotus Colorado, Southern Nevada Lotus Club, Club Lotus Northwest and the Lotus Car Club of British Columbia with the generous support of our event sponsor, the British Racing Group. With the San Rafael Mountains on the north and the Santa Ynez Mountains on the south as backdrops, the 2017 WCLM will be four days of total Lotus celebration starting Thursday, September 21 and ending Sunday, September 24. 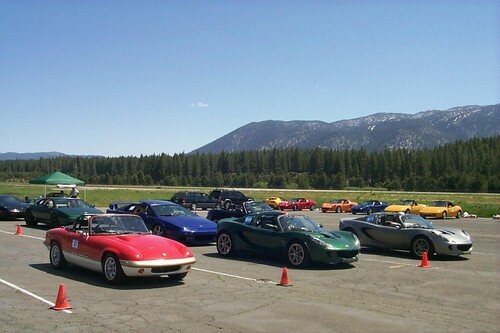 The president of the GGLC, Jenni Dietsch said, "The GGLC is excited to host the 2017 British Racing Group West Coast Lotus Meet to welcome Lotus enthusiasts from across the globe to celebrate everything that is great about Lotus." "Our 2017 WCLM Committee has planned a fantastic series of events that include a WCLM Casual Concours, amazing scenic drives in the Santa Ynez Valley, a WCLM Funkana, the WCLM Banquet, an optional Lotus track day at the Buttonwillow Raceway. In addition, there will be great awards, dinners and spectacular scenic drives!" The 2017 WCLM will be headquartered at the boutique Hotel Corque in quaint Solvang, California. Discounted rates have been negotiated for WCLM attendees. Each room includes private parking and nearby trailer parking is available as well. If you have any questions, please contact the event chair, WCLMChair"at"gglotus.org. 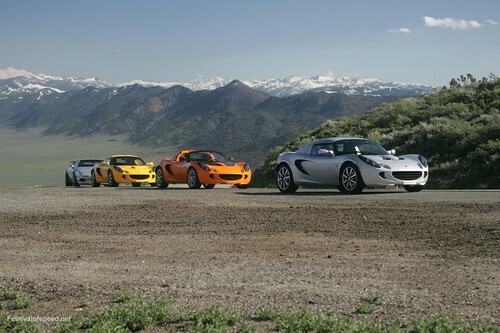 Registration 2017 West Coast Lotus Meet is now open, with an early-bird deadline on Wed, June 21 for the lowest rates. Registration is being done through MotorsportReg.com, a secure site that allows you to pay with your credit card. Registration is per person and gives access to all WCLM events except the optional track day. This includes the opening reception, 3 lunches, group drives, autocross, funkhana, main banquet, etc... To see more about the various events please see the event schedule. The WCLM registration fee does not include hotel. All attendees are responsible for booking their own accommodations. The Hotel Corque in Solvang, California is the official headquarters for the 2017 WCLM and we have negotiated extremely attractive room rates for attendees. Click here to sign up via MotorsportReg.com. *Member prices are open to all current members of any regional, national or international Lotus club (GGLC, LCOSC, CLNW, ELCC, SNLCC, LOCO, LOOP, LCCBC, Lotus Ltd, etc..). Spouses and significant others are eligible for the member discount as well. **The WCLM can not guarantee shirt size and/or availability for registrations made after August 1, 2017. If you have any questions, please contact the WCLM event chair, WCLMChair"at"gglotus.org. 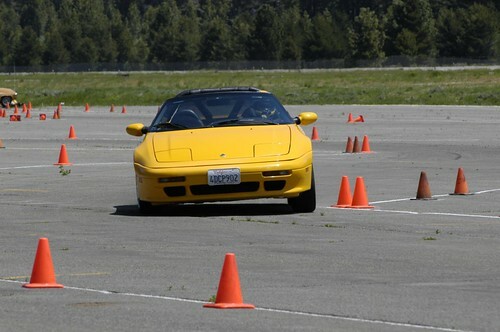 For the latest news and updates about the West Coast Lotus Meet please visit us on Facebook. The 2017 West Coast Lotus Meet has been made possible due to the generous support of our sponsors. The WCLM is a great way to promote products and services to the Lotus enthusiast community. Along with display advertisement in this website, sponsors will be listed in event banners and can distribute promotional materials during the event. We also offer opportunities to exclusively sponsor specific events during the meet. If you are interested in becoming a sponsor please review the sponsorship packet and contact our sponsorship chair Mel Boss (partner"at"gglotus.org). All sponsorship opportunities are available on a first come, first served basis. Get ready for four days of Lotus heaven. Registration will give you access to all WCLM events except the optional track day. All attendees will also get the official WCLM t-shirt. The WCLM Registration Fee does not include hotel rooms, all entrants are responsible for booking their own accomodations. The Hotel Corque in Solvang, CA is the official headquarters for the 2017 WCLM. 2pm The BRG-WCLM Closes—Farewell to all our new Lotus friends! Hotel Corque is sold out! We have arranged for an additional block of 15 WCLM rooms at the Santa Ynez Marriott for $159 for Thurs 9/21 and $219 for Friday and Saturday. The Santa Ynez Marriott is in Buellton, California and short 4 mile hop to Solvang and the WCLM Headquarters. The hotel parking lot can accommodate trailers! Click here to make your reservation by OR call 1-888-236-2427 and ask for the West Coast Lotus Meet rate. The booking deadline is Sept 1. Note: When you make your reservation you'll be booked at $219/night. The Front Desk will then change your Thurs night rate to $159 when you check-in. The WCLM has arranged for WCLM entrants to enjoy special rates at the Hotel Corque. We encourage you to take advantage of these rates. WCLM entrants are responsible for making their own hotel accommodations. You are not required to stay at Hotel Corque and there are a number of alternatives nearby. We do encourage you to stay the Hotel Corque because we have committed to a minimum number of rooms and the rates are extremely attractive for the for this relaxing and cozy hotel. Hotel Corque (pronounced Cork) is a luxury boutique hotel nestled in the heart of the Santa Ynez wine country. From the hotel's rustic but modern design, distinctive decor and courteous staff, Hotel Corque exemplifies the relaxed nature of wine country. Setting the standard in lodging among Solvang luxury boutique hotels, Hotel Corque offers the ultimate in relaxation and comfort. Conveniently located in downtown Solvang, you're just steps away from enjoying the many bounties of the Santa Ynez Valley. Hotel Corque is owned by the Santa Ynez Band of Chumash Indians. The Hotel Corque is not pet friendly. Service animals are welcome. Phone reservations can be made through the hotel reservations department at (800) 624-5572. You must tell them you are with the West Coast Lotus Meet or you may not get room availability. Hotel Corque is sold out! Please scroll up to see alternative hotel information. If you would like to arrive early or extend your stay, the Hotel Corque will extend the WCLM discounted rates to you. Be sure to reserve your room as soon as possible. There are limited number of rooms available and the Hotel Corque will release them on August 22nd, 2017. Guests are responsible for paying for their own accommodations. Deposits are refunded or credited only if notice is received on or before 24 hours prior to arrival date, be sure to get a cancellation number from the hotel.